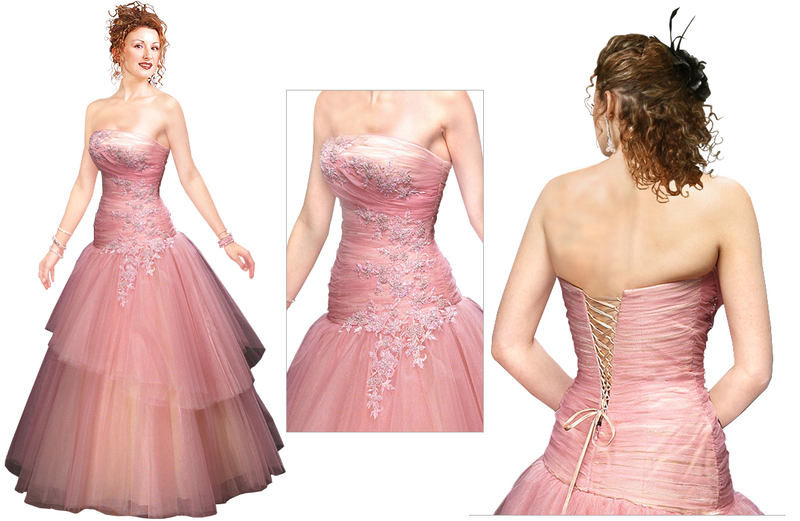 Stand out in the crowd and make a grand entry into a ball night wearing this outstanding strapless ball gown. It looks beatific with the ruche effect on the bodice till the waist and the skirt that has been designed in two layers. The back has a laced tie-up. A very uniquely designed dress, it is the perfect dress for a grand occasion.